Subscribe to Vogue Living magazine for your chance to Win A Hawaiian Adventure this Mother’s Day! 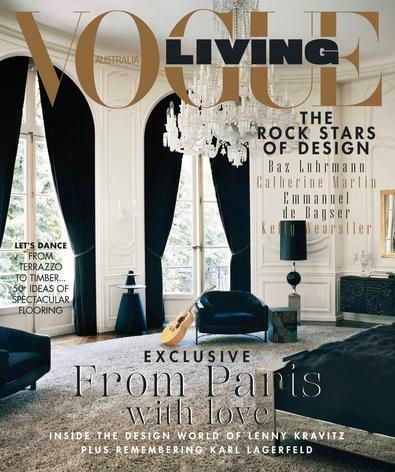 There’s something about Vogue Living that makes you feel good. Outdoors or indoors, neutral or colourful, large or small spaces, old or new, simple or sophisticated, it pushes the boundaries of form, design and function. Discretely stylish, this is a magazine that knows itself and knows what it’s talking about – and every issue takes you on a journey of design inspiration, room by room. Step inside stunningly renovated and architecturally designed homes; check out what’s in vogue – the hot new decorator trends for the home, upcoming artists and designer talent – who’s making a splash and why. On the foodie front, you’ll find the latest restaurant openings and reno’s and deliciously tempting new products. If you love reading about the latest ‘what to do and where’ from those in the know, both here and overseas, you’ll love this mag. I love that this magazine showcases the latest in design, over and above other home magazines. I am new to Vogue Living magazine and it&apos;s the only mag I have ever subscribed to in my life. I can not wait to get my hands on the next issue. I adore how I can find so much inspiration from one magazine.